Halibut Cheeks with Tomatillo Sauce. I picked up some halibut cheeks from the market along with some tomatillos which I’ve never prepared before. I thought the halibut cheeks would pair nicely with a lemony tomatillo sauce. First I sliced some fresh garlic, chili peppers, and red onions and tossed those into my food processor. 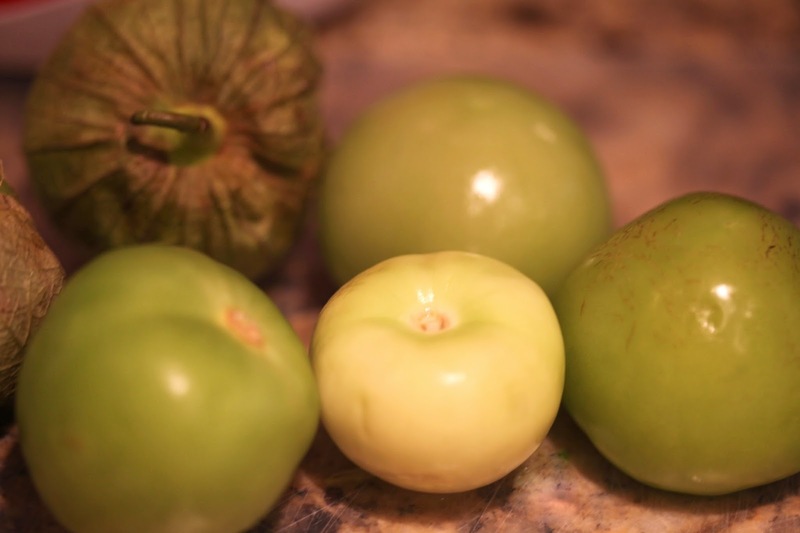 Next I washed and sliced some tomatillos. Once you unwrap these, the skin has a sticky texture that requires a good rinse. 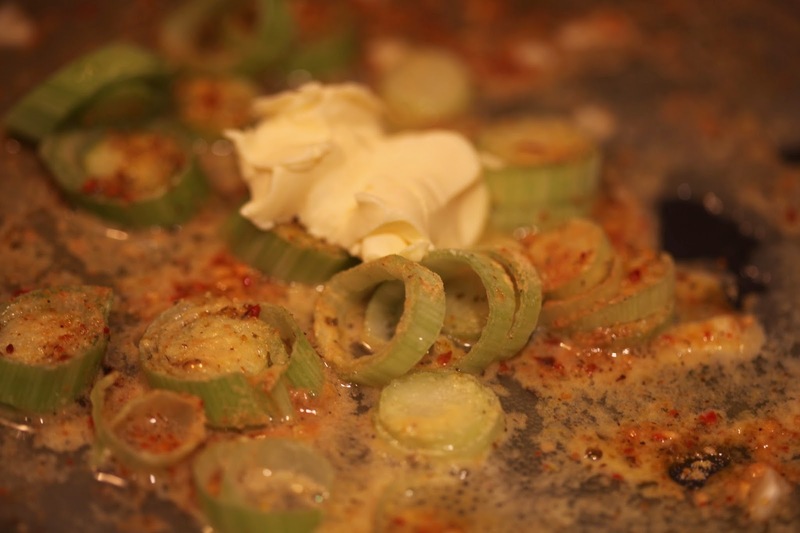 Next, in my saute pan I cooked up some sliced leeks and garlic with olive oil. I added some butter and and a dash of lemon juice, then tossed in the fresh halibut cheeks I’d purchased at Granville Island’s public market. In a separate pan, I quickly heated up some black beans with another dash of lemon juice. I served the halibut cheeks on a bed of tomatillo sauce with a side of sliced avocado topped with the tomatillo. The black beans cooked with lemon juice complimented the dish nicely. Total cook time, approximately 10 minutes plus 20 minutes to prep. ← Steelhead Trout with Sauteed Vegetables.